The Contour Matrix Gas Detector (600-GDL) is the product of continuing research and development which BEP Marine Ltd devotes to their product range. 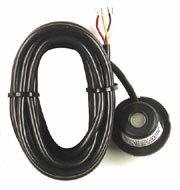 The BEP Detector uses microprocessor control to ensure correct sensor sensitivity. The Detector has the capability to control two sensors which detect both LPG and Petrol , with visual and audible alarms. There is a test switch to check operation of sensors with indicators for fault detection. 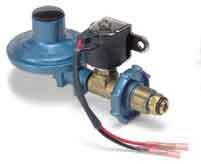 It also has provision for the connection of an external alarm ,bilge blower and ability to switch a valve on. The detector is fitted with a unique "Pulse & Hold" circuit within the gas detector. 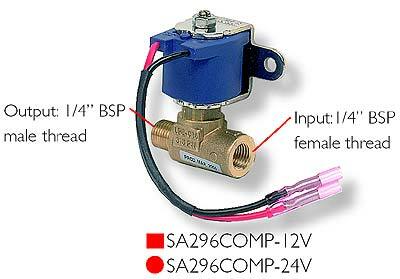 This allows the solenoid to be switched at normal voltage and held open at a reduced voltage. This reduces power consumption and heat while the gas is turned on. Alarm Sensitivity: 20% LEL (Lower Explosive Limit). Current at outputs: 800mA maximum. Sensors: Detector comes with one sensor. Order extra sensor if required. This product was added to our catalog on Sunday 15 February, 2004. 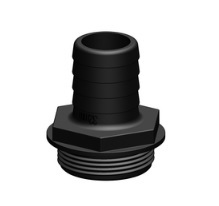 Tru Design Aquavalve - Hose tails - 1"